LIMITED TIME OFFER! 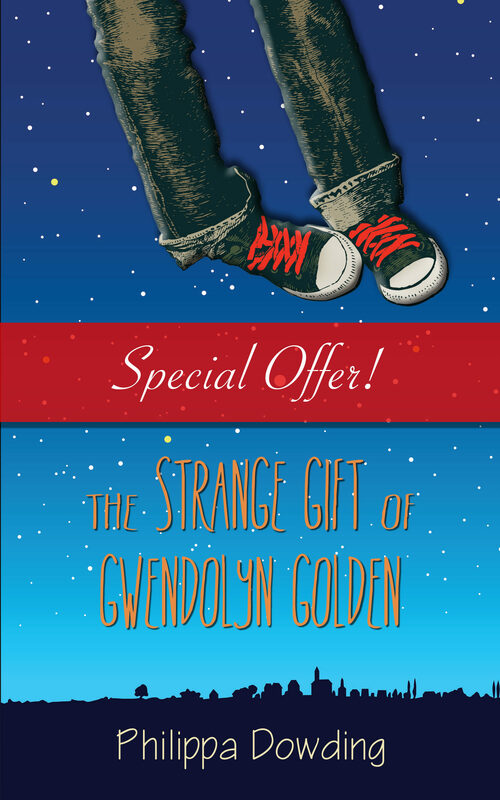 This morning, I woke up on the ceiling … So begins the strange story of Gwendolyn Golden. One perfectly ordinary day for no apparent reason, she wakes up floating around her room like one of her little brother’s Batman balloons. Puberty is weird enough. Everyone already thinks she’s an oddball with anger issues because her father vanished in a mysterious storm one night when she was six. Then there are the mean, false rumours people are spreading about her at school. On top of all that, now she’s a flying freak. How can she tell her best friend or her mother? How can she live her life? After Gwendolyn almost meets disaster flying too high and too fast one night, help arrives from the most unexpected place. And stranger still? She’s not alone. Watch for Everton Miles Is Stranger Than Me, coming in October 2016!. Otros ebooks de Philippa Dowding.